In reality, there is nothing such as “best smartphone” as everyone has different budgets and different features they want out of a smartphone. If you guys want more comparisons like this, leave your thoughts on what phones you want me to compare and I will do another one with the most requested phones. P.S. I do own a ton of smartphones but I do not own all of them but I will try to get my hands on any phone I have not tried which include Huawei P20 Pro and Mate 20 Pro, I am trying to get hands on them soon also. Which do I like best? 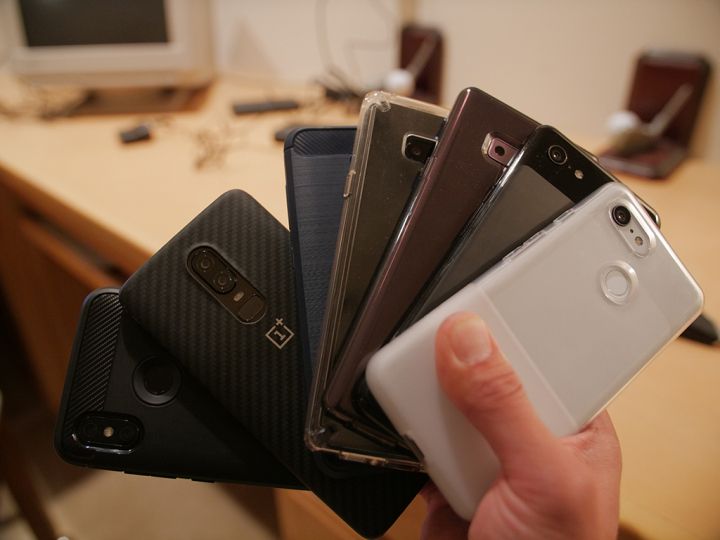 Well, I like all of them because I am HIGH on Android, I have used all of these phones for almost a month each and will only give you my honest opinions. Which you like most? Leave your thoughts and why you like your phone so much! Galaxy S9, Galaxy S9+(in repair as I broke while swimming in Hawaii), Galaxy Note 9, LG G7, LG V40, OnePlus 5T/6, Xiaomi Mi8, Pocophone, Pixel 3, Pixel 3XL(I still have ALL my Pixel phones and Nexus phones). Follow my Instagram to keep track of all my phones which I post daily. Next story Pixel 3 & Pixel 3XL – STUFF YOU MUST DO After Buying! Previous story How to Install Pixel 3 Camera Night Sight on Pixel/Pixel XL/Pixel 2/Pixel 2XL/Pixel 3/Pixel 3XL!